New Year Wishes for Tiger and Others! The New Year is a time for resolutions and fresh starts. 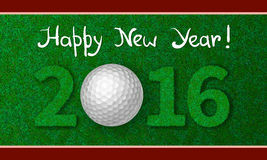 Here are some wishes for professional golfers and golf personalities for 2016. Tiger Woods - A healthy back and a return to tournament golf. 2015 was a washout for Tiger with mostly negative results. His health is very questionable for him to play serious golf in 2016 or possibly ever. Golf is more fun when Tiger is in the mix. Jordan Spieth - A few more miles per hour on his driver swing. One of the best years ever in 2015, but to continue to beat the McIlroy’s, Day’s, and Bubba’s of the world, he needs to drive it a little further. Such a great story, he might pull a Stephen Curry and be even better in 2016! Adam Scott – A good solid putting stroke with the short putter, so he wouldn’t regret having to give up the long putter. Has everything to be a great. Putting has always let him down, but might not want it (greatness) as much as Spieth, Rory, or Day. Rory McIlroy – Renewed drive and a major championship. Now that he is engaged to marry and settling in on what really matters in his life, it will be interesting how much passion he will put into being the best player in the world. Justin Day – Continue to keep that putting stroke. In a six week stretch, he putted unbelievably. With his length and that type of putting, he is unbeatable. However, that type of putting is usually not sustainable. I hope he continues to be a headliner. Ricky Fowler – More wins. He is treated as a superstar, but doesn’t have the resume. However, he does have the talent and desire. Good person and role model for professional golf. Wishing 2016 will produce multiple wins. Bubba Watson – Maturity. Last year I wished him, “ear muffs for rabbit ears and a realization that people are not out to get you.” He still reacts poorly to criticism and adversity, but he still gets his wins and high finishes. With a bit more “maturity”, he could be even greater. However, that might not be in his DNA. Phil Mickelson – A heathy year and one more major. Phil will be 46 this year, but his desire is still strong. He has dropped Butch Harman as his coach and trying Andrew Getson as his swing coach. With his short game, he is a factor anytime he tees it up. Justin Rose – Play more “feel golf” and not mechanics. One of the best ball strikers, but doesn’t close a tournament as often as he should. Relies too much on mechanics. Justin Thomas – A Jordan Spieth rivalry. Has a similar junior and college resume as Jordan. Has the fortitude and talent to be a top 10 player in the world. This could be the year. Matt Kuchar – More grit and determination to win a big tournament. Always on the edge of greatness, but doesn’t get the job done. Mental toughness is lacking in the big situations. Needs to make it happen in the next few years, because his window of opportunity is closing. Patrick Reed – Back up your bravado. A very fine player, but not as good as he thinks. Weaknesses in short game and putting are showing up. Also, playing a big hook is not a high percentage shot in major championship venues. Jim Furyk – Good health. His first serious health issue that has sidelined him for an extended period of time. Here’s hoping that, after recovery, it will not affect his ability to swing his unique way. The PGA Tour – Get serious about slow play. Time to step up and make a statement. The PGA Tour is the world’s most influential tour and if they make a policy with teeth and start enforcing it, it will really make an impact. Henrik Stenson – find his 2013 form. Has everything, but a major. Forget the shank and choke at the Tour Championship. Ernie Els – One more good year of major caliber golf. Appears his desire is dropping, but his ability is still high caliber. Putting will be the difference. At 46, he is still one of the best from tee to green. Hope he has a focused 2016. Louis Oosthuizen – Desire to be great. Had a tremendous 2015, but it could’ve been great. Not sure he sees himself as a great player. Desire and the will to be great are rarely learned later in one’s career. If he does, he could be unstoppable. Davis Love III – A Ryder Cup Win. This year event will be a challenge. We need to mix in younger American players to the pressure that is the Ryder Cup. I think our young players are more than capable to take on the European’s and win. Davis has experience and respect and will do as good a job as Paul Azinger did during our last Ryder Cup victory. Kevin Stadler – Recovery from bone break in left wrist. More so, he has to figure a way to putt without anchoring his long putter. I’ve known Kevin since he was 15 and he really needs that long putter. I hope he can figure out a putting stroke that will work. If you can’t putt on the PGA Tour, you might as well stay home. Billy Horschel – Same as last year, prove the Fed Ex cup was no fluke. In 2014, he looked like a superstar, but 2015 was a dud. Talent is there; can he capture the magic again? Gary Player – Continued good health and his ability to keep doing his 1000 sit-ups a day. I wonder if he read the report from a group of physical trainers that say that the old fashion sit-ups are bad for you. Arnold Palmer – Hit it long and straight off 1st tee at the Masters. Will be interested to see the improvements to Bay Hill and if it really toughened up the course. Brandel Chamblee – Keep telling as you see it. He gets a lot of criticism, because he is not afraid to voice a contradictory opinion. His is usually right on. Keep it up. Johnny Miller – More majors to announce. Unfortunately, Fox got the rights last year to the US Open and other USGA events. However, NBC got the rights to this year’s and future British Opens, which means Miller will be seen and heard again for a major. I like the frankness of his announcing. If a person chokes, it’s fine to say it. Fox Golf Coverage – Take lessons from the other networks. I will give them a break their first year, but this year the coverage needs to be 100% better. Joe Buck is not a golf announcer and Greg Norman was cautious. Maybe this year they will mesh better. David Feherty - More TV time. One of the best minds in golf and funny also. The move to NBC will highlight him more and it will be interesting to see the interchange between him, Johnny Miller and Roger Maltbie. Nick Faldo – More insightful commentary. Take a chance more often. You know what is going on in the players’ minds, don’t be afraid to speak your mind. Frank Nobilo – More air time. One of the best analysts, give him a more important role. Gary McCord – A new comedic sidekick. Without Feherty, he might be lost. Notah Begay – A bigger role. Smart and insightful, he is getting bigger opportunities. Want to see him continue to advance.